1. Secure Attachment: Children who develop a secure attachment see their parents as a secure base. The child feels independent and will continue to explore without the mother’s presence. Someone who is securely attached can easily be comforted in the absence of the mother even when it is clear the child only wants the mother. Relationships for this kind of individual reflect the mother-child relationship. A relationship with someone with a secure attachment is a healthy relationship where the person is honest, open, independent, loving, and empathetic. 2. Anxious/Ambivalent Attachment: A child who has an anxious/ambivalent attachment shows distress when the mother is not present and is not easily comforted upon her return. A child relies on their mother to fulfill constant needs and becomes clingy if their needs are not constantly met. A relationship with an individual like this is the opposite of a secure attachment. A person with this attachment faces frequent break ups and complains about cold/distant relationships. Anxious attachments cause a person to constantly seek a partner that will complete them. 3. Avoidant Attachment: This attachment differs from the two previously discussed. 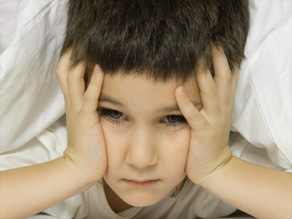 Avoidant attachment is seen in children when the child is indifferent about the parent’s presence. The way this person responds to parents and strangers is the same. Being in a relationship with this kind of individual is very difficult because this individual is emotionally distant. 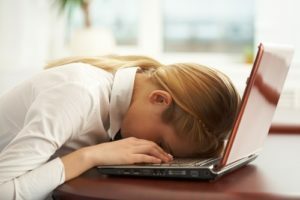 Avoidant individuals invest little or no emotional energy and find it very hard to connect with others. 4. Disorganized Attachment: This is a combination of anxious and avoidant attachments. The child has no definitive way of relating to those they love because this was never presented by the parent. Relationships for this person are very complicated because this individual experiences emotional storms due to the uncertainty of whether they want to be too close or too distant from the person. This individual trusts the same person they feel will hurt them the most. Each of these attachment styles differ in their own way and are more complicated than others. If you are concerned that you or your partner are having problems, the licensed professionals at Arista Counseling&Psychotherapy can assist you. Contact our Bergen County, NJ or Manhattan offices of psychologists, psychiatrists, and psychotherapists at (201) 368-3700 or (212) 722-1920 to set up an appointment. Visit http://www.acenterfortherapy.com for more information. Life can consists of day to day challenges that most people can’t control. However, one thing we can control is how to adjust and alter our mind. While reading this one might think; well how am I supposed to adjust my mind to think positively, when I can’t control the negative feelings that come first? Some might say well, I don’t have this issue I wake up and I feel grateful and look forward to the day and tasks ahead. The people who wake up with negative thoughts tend to try and justify them, from observation. For example; “It’s raining today so it’s going to be horrible day at work” or “my mom said I was not allowed to use the internet all day today because I am being punished, so today is going to be the worst day ever at school!”. When negative thoughts control someone’s mind to this extent the individual automatically unconsciously starts their day with a negative attitude. They already have pre-conceived notions on of how their day is going to play out. This negative attitude may be caused by anxiety, depression, family issues, stress, and external factors. A significant, thought to keep in mind is; not everything in life is black and white. Thus, “all or nothing” approaches are detrimental to our mental health. “Well if lose my job I will lose everything, it will be so hard to find another job and it’s not fair” – this correlates with negative thinking. Hypothetically inserting the “grey” in this context; is almost like a silver lining when it comes to positive thoughts. This could lead to potentially giving anyone a new outlook on the options they actually have and can control. Thus, change negative thinking into positive thinking. Life is ever changing; therefore, to lead an emotionally healthy life we need to have balanced emotions, even when life takes us on emotional roller coaster rides when we least expect it. 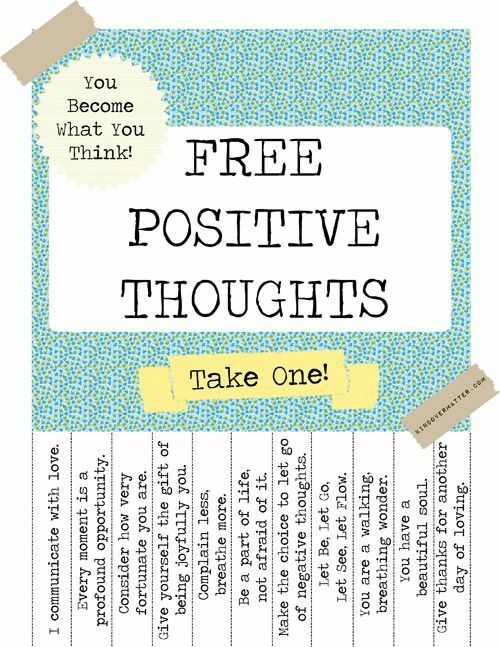 There are a few tips on how to switch negative thinking to positive thinking; No one is alone! When you change negative thoughts to positive thoughts it can lead to a more fulfilling life and a more positive perspective on your lifestyle, which hopefully leads to lifestyle changes. Here are some words of advice to change the” black and white” mentality and dive into the grey areas! It will help you have a more positive way of facing issues on a daily basis; which reduces the negative thoughts and produces positive thoughts. * Try not to use words such as always, never, impossible, flawless and dreadful because all these words leave no room for flexibility. Words that have more room for explanation lead to balance. It is important to realize when negative/toxic thoughts come into your mind and have the ability to be aware and dive into those grey areas and change the thought patterns; before they ruin your day, week and months! Stay open- minded and explore the other options your mind can dwell on, this is what will enhance your overall mental health. Always look for the positive, sometimes it will be hard to find but the silver lining but it is there. Mind over matter! If negative thoughts are controlling your life, therapy may help. Feel free to contact the Bergen County, New Jersey or Manhattan offices of Arista Counseling & Psychotherapy at (201) 368-3700or (212) 722-1920. Visit www.acentertherapy.com for more information. While most children have some trouble sitting still or paying attention in school, children with Attention Deficit Hyperactivity Disorder, or ADHD, show a persistent pattern of inattention and hyperactivity across many different settings such as in school, at home, and on the playground. Your child may be displaying symptoms of inattention if he/she shows difficulty remaining focused during play activities, lectures, and conversations, seems distracted when spoken to (even when there is no distraction present), and has difficulty following through on instructions because of a tendency to become sidetracked. These symptoms of inattention may exist on their own and may suggest the possibility of ADD (Attention Deficit Disorder) with no signs of hyperactivity present. However, if this inattention is accompanied by symptoms of hyperactivity, the diagnosis of ADHD might be more accurate. Your child may be displaying symptoms of hyperactivity if he/she always seems to be fidgeting, is unable to stay still/seated, has difficulty waiting, and has a tendency to blurt things out or interrupt others. To be considered ADHD, these symptoms must have been present before the age of 12 and must be significant enough that they impair daily functioning. If you are concerned that your child may be suffering from symptoms of ADHD, feel free to contact our Paramus, NJ or Manhattan offices of psychologists, psychiatrists, and psychotherapists for an evaluation.